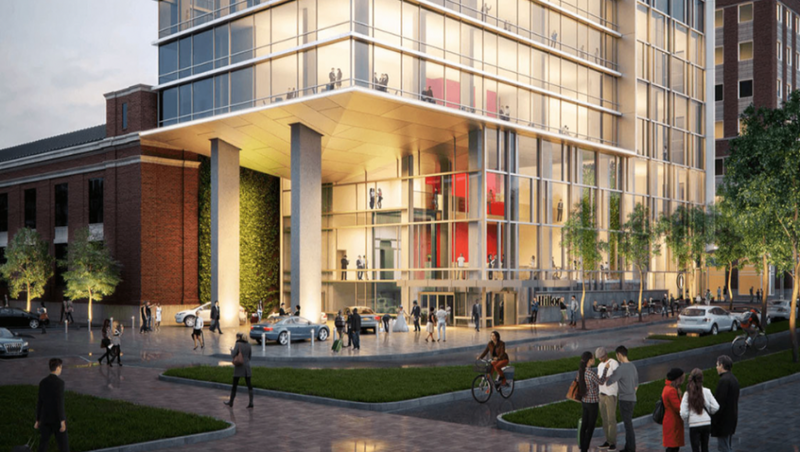 An artist’s rendering of the Hilton Hotel coming to Hoboken. Photo via Cooper Carry Associates. 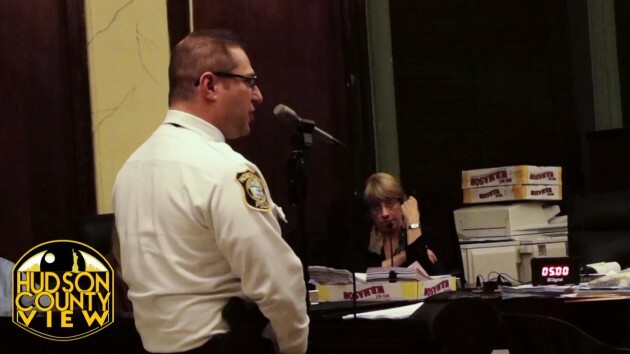 “… The Court concludes that Hoboken does not have the statutory authority to condition or require these givebacks under the LRHL and, further, that permitting a municipality to require givebacks … would create unacceptable possibilities for abuse and fraud and cannot be permitted for reasons of public policy,” Hudson County Superior Court Judge Anthony D’Elia ruled yesterday. 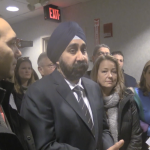 Back in October, after some expected fighting with the majority of the city council, Mayor Ravi Bhalla announced a $4.85 million giveback plan by the Hilton Hotel developer, KMS Development Partners. 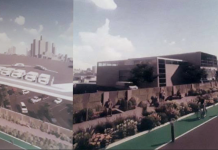 While the Mile Square City’s elected officials again butted heads just days later, the council approved the project at their October 17th meeting. However, D’Elia wrote that such “off-tract costs” for developers go beyond the scope of what they should be providing for a construction project. 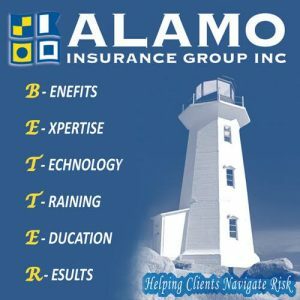 “The risk of bad faith, favoritism and the unlimited range of discretion, which would be afforded to municipalities in exacting off-tract contributions from redevelopers, is too great,” he concluded. Despite the recent unfavorable result for the city, Bhalla said in statement that he expects them to prevail when it’s all said and done. “The hotel deal furthers the redevelopment of the City, provides the community with unprecedented benefits and continues to be a priority for my administration,” the mayor stated. 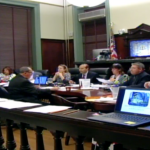 The judge’s ruling came in light of the city filing a motion to dismiss the lawsuit filed by Hoboken Land Building, L.P. and Hoboken Holdings, L.P. According to an October 16th email chain forwarded to HCV, Joe Maraziti, special counsel who serves as a redevelopment attorney for the city, told officials that the giveback plan may not work out as planned. ” … The legality of the payments to the educational charities is based on the provision that the funds will not be paid to the City, but instead will be paid directly to those charities,” he wrote. 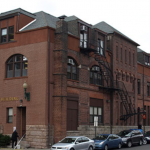 • An allocation of $2 million to revitalize the former Hoboken YMCA at 1301 Washington Street that will include a municipal pool, an uptown branch of the Hoboken Public Library, and additional classroom space for the Hoboken Public Schools. • $1.165 million towards infrastructure upgrades, which includes the area adjacent to the hotel. • $1 million to the Hoboken Public Education Foundation to establish a permanent endowment. 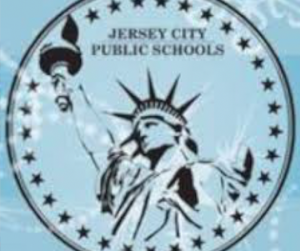 • $484,000 to the (3) Hoboken Charter Schools divided among the schools. Who’s going to explain to Ravi that abuse and fraud are bad? That’s how he got elected. It passed the council 8-1. The main argument preceding was the council wanting to get equal credit for the deal. Who is going to explain to Roman Brice that trying to turn every news item into a Bhalla crime story makes him look like an out of warranty propaganda robot. The mayor negotiates and the council ONLY votes up or down. Didn’t you listen to Councilwoman Jabbour? She gave the rest of the council a full lesson on this. Yes, I recall Emily was very focused on being educational with her instructions from the mayor’s office. Well, didn’t Horsey break this story? If Roman Brice is breaking news, maybe you should complain at hobokenhorse.com. Or whine at Ravi’s paid political operative blog. Oh yeah, all her ridiculous lies got shut down. Wot a shame! Hey, she’ll be back. She loves lying and doing character assassination for Ravi way too much. Horse broke the story that Fisher and Giattino were equally responsible. Read it and weep losers! Horse nailed you! Intervening extractors beware! Horse has your number! He’s callin’ you out! This was Ravi Bhalla’s deal. The City Council tried to improve a crap sandwich he handed to them. They didn’t get good legal advice. Horse got it right. But that’s not news. Horse nailed the INTERVENING EXTRACTORS trying to featherbed the Hilton deal. He’s not just some dishonest shill who only notices things when Bhalla does them. Word is he’s working on a nasty takedown of serial ELEC violator and bought and paid for developer shill Mike Defusco! Watch it, Mike! Horse don’t play favorites! Why did Doyle vote against the kids and the homeless? Doyle sided WITH the Horse AGAINST Fisher and Giattino. Like the Horse, Doyle saw what a dirty deal Fisher, Giattino and Bhalla were mixed up in. The horse don’t play favorites and he doesn’t argue both sides of an argument. He only cares about the truth! That’s why Defucso better watch out. The horse is coming for him just like the horse came after Fisher and Giattino. The horse doesn’t like the way Defusco shills for big time developments right next to Hoboken because of his developer and union donors. You do the crime, the horse will make sure you do the time no matter who you are! Honest and even-handed, that’s the only way the horse plays! Would create? I’d say this deal already was a clear example of abuse and fraud. 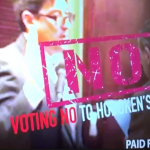 It also was an example of pandering or, dare I say, just a new kind of vote buying in Hoboken. Not the kind that has been historically peddled in the housing authority for 40 or 50 bucks a person. No, not at all. When you buy the votes of the self-centered mommies, the purchase needs to have a million dollar purchase tag attached. Mommies ain’t going cheap. It’s seven figures! No More Shakedowns! Stop the illegal activity by Hoboken. The mayor has brought great shame upon himself for encouraging this improper act. Maraziti former law partner to Mrs Healy -Doyle ( of Jim Doyle fame ) has made a fortune off this city! As those who followed the story will remember, the potentially illegal aspect of this deal was added by the city council after the mayor’s office struck the original deal. Hopefully more light is shined on their ignorance and infighting as they squabble over the city’s budget. Nice try. The issue was ALL of the givebacks. Whose idea was the the payoff to the Hoboken Public Education Foundation and the YMCA in the first place? Seems to me like the council was trying to combat the overt abuse and fraud that the mayor built into the deal in the only way available to them short of voting no and having the mayor use the nixle system for more political messaging about how the council refused to approve the hospital while leaving out the bit about his vote-buy. Mostly it was abuse more than fraud of course, major abuse of power going on when you hand your most favored non-profit 1MM cash that will be paid directly to them without any oversight. THAT’S OUR TAX PAYER MONEY THAT THE MAYOR WAS HANDING OVER TO HIS FAVORITE SUPPORTERS. The issue litigated here – the scope of permitted contribution to off tract improvements in redevelopment is far from settled law, so it is unclear who will ultimately prevail if this matter is litigated further. 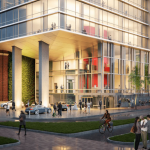 If it is fully litigated, hopefully the New Jersey Supreme Court will weigh in and provide clarity, since the issue is really important to the redevelopment process across the State. Were you involved with Ravi in this dirty vote buying developer scheme? Don’t try to deflect to the council dealt the bad hand with what Ravi did. The only one who wins are the lawyers. Like the Monarch, Hoboken loses. 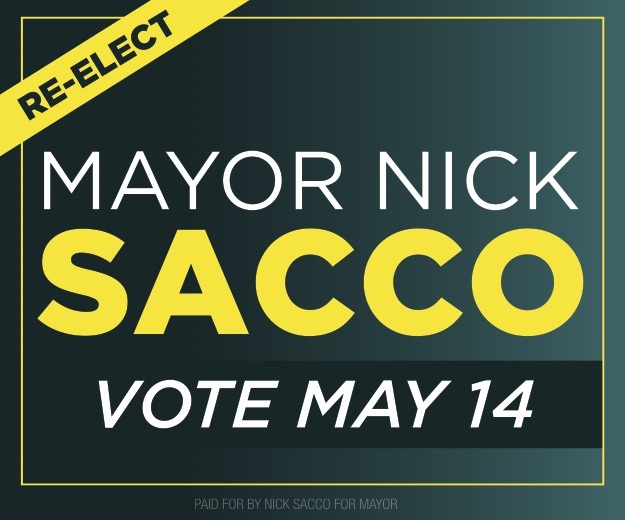 $485,000 more for affordable housing, infrastructure & charters vs. $3,000,000 for two groups of voters and lots of public bravado about how he solely negotiated the agreement? And you think the council’s actions were the bigger faux pas than the mayor’s? SMH about how you can continue to try to defend him. Is it all because you think he will somehow protect your SW neighborhood? If you believe that I have a bridge to sell you. This case isn’t going to be litigated. The judge clearly thinks the parties should settle and by settling, your boy Bhalla can try to keep his “community benefits” to his precious voters and can also give 15 more stories to the objectors for their adjacent site which is what they want anyway. Amazing what people pay for votes in this town. Especially this mayor. One thing that has stayed the same over 2.5 administration is Maraziti Falcon LLP. Formerly Maraziti Falcon Healy…. Even Dawn knew that givebacks had to be within the redevelopment zone. That’s why she approved her buddy’s hideous building behind 720 Monroe St.
I’m surprised with Doyle & Healy on the council,Bhalla as Mayor and long serving Redevelopment lawyer earning close to a million or more over the years from the City of Hoboken we are in this mess AGAIN! With all the millions blown on redevelopment legal fights that we always lose, how much longer will it be until we hire some new redevelopment attorneys… Something is wrong. 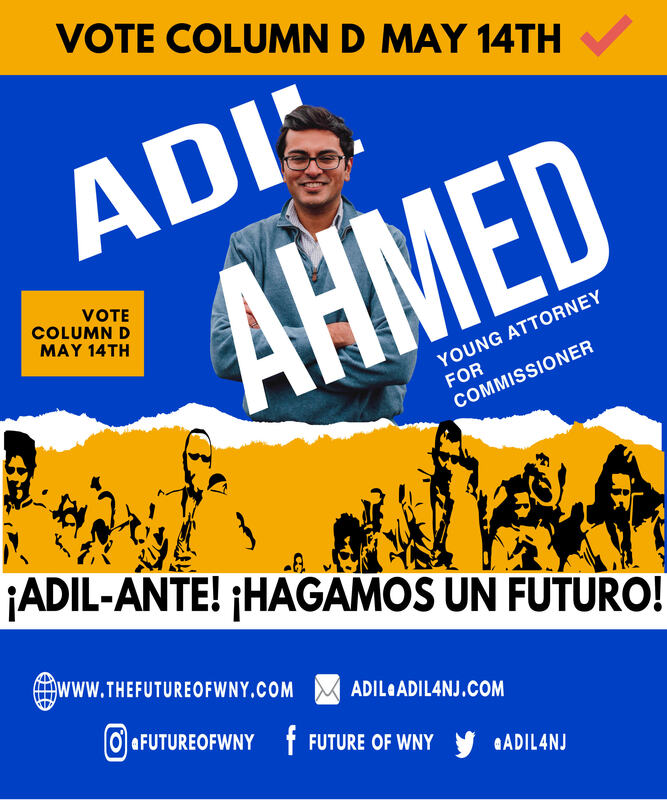 Should we wait until we lose the UDD/NYWW fight too? Even Corrupt Russo and Dimwit Roberts had better track records winning their cases. 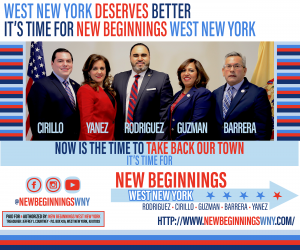 Corrupt city council members Giattino and Fisher’s desire to get credit for a deal they had nothing to do with is the only reason that Hoboken is in this situation. The deal was for the Charter Schools not them. The Judge was furious the MAYOR WOULD SOLELY NEGOTIATE A REDEVELOPMENT AGREEMENT WITH ALL OF THE GIVE BACKS OUTSIDE OF THE REDEVELOPMENT ZONE! HPEF and YMCA were also thrown out because THEY TOO ARE OUTSIDE OF THE AREA! RAVI cut a DEAL WITH the Developer alone. 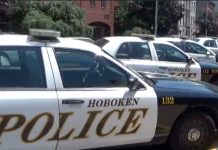 What do non-operational cameras mean for Hoboken’s counterterrorism efforts?